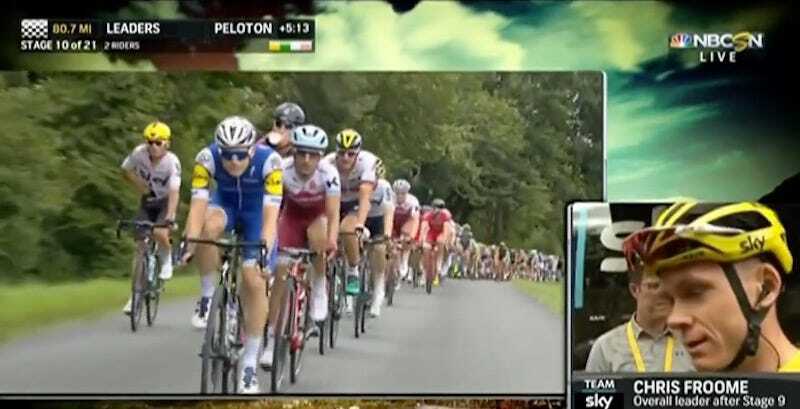 Professional cyclists often have to confront the reality of needing to pee or crap during a race, and so it’s not uncommon for a rider to whip it out and whiz all over the road while on his bike. It is far less common for a rider to be caught doing that on live TV. All things considered, he pulled that off pretty well.